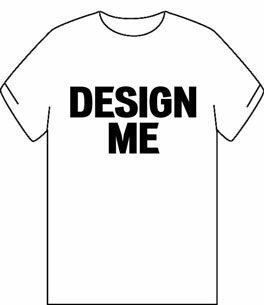 It’s time to design the new walk t-shirt for 2019! NEW IN 2019—Since each city has a different fundraiser event, these do not need to reflect a ‘walk’. We would prefer themes revolving around autism awareness or designs reflecting the spirit of the Autism Community. A walk theme is allowed, but the themes above would be preferred. Marker, Paint, or Electronic/Computer Created Artwork are the ONLY acceptable mediums for this contest.—No crayon or pencil. Autism Society of Nebraska must be included on the design. Support network cities may be added to the shirt—these cities are Grand Island, Lincoln, Norfolk, North Platte, Omaha, Scottsbluff. The design should reflect the spirit and attitude of the Autism Community. Please submit original artwork. If artwork is not original, a release must be submitted with the design. Send your design to walk@autismnebraska.org by 11:59 pm on Sunday, February 17, 2019. Submissions must be received electronically in .jpg or .gif format. (Save your original as we may need it, too.) The Autism Society of Nebraska will present the design submissions to the Autism Community to vote for the 2019 Autism Puzzle Walk T-shirt design! The selected design will be on event shirts and may be used in other areas of publicity and marketing by the Autism Society of Nebraska. The Autism Society of Nebraska reserves the right to adjust the submission for printing purposes and reserves the right to narrow the number of submissions to be voted upon. All submissions become the property of the Autism Society of Nebraska.